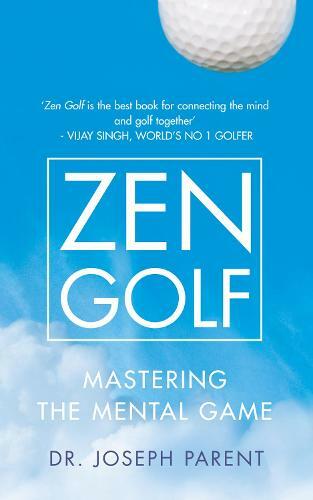 In this ground-breaking approach to golf instruction, Dr Joseph Parent, both a noted PGA Tour coach and a respected Buddhist teacher, draws on this natural connection to teach golfers how to play with more consistency and less frustration, and consequently how to lower their scores. Zen Golf offers a fresh perspective for golf and for life. Instead of focusing on what's wrong with us - what's broken, flawed or missing - we can take the attitude that there is something fundamentally, essentially right with us. In chapters such as `How to Get from the Practice Tee to the First Tee', `You Practice What You Fear', and `How to Enjoy a Bad Round of Golf', author Joseph Parent shows how to make one's mind an ally rather than an enemy: how to stay calm, clear the interference that leads to bad shots, and eliminate bad habits and mental mistakes. Rather than an instruction manual that takes you through a systematic programme, it is a collection of brief chapters offering the wisdom of traditional Zen stories and teachings distilled from a lifetime of actual lessons with golfers, many of whom are PGA professionals. Continued success at golf (and any other endeavour) requires preparation, action and response - these form the framework for the instructions presented in Zen Golf. Applied correctly, they will help every reader of this unique book to achieve their peak performance.